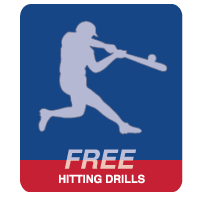 We are happy to provide many free baseball drills from our massive library of baseball drills to visiting users. Most of these drills are appropriate for all ages groups, however we also have several drills specifically targeted for ages 5-8. Each drill is comes with an easy to follow video as well as a short explanation of what the drill will accomplish. Coach Steve Nicollerat, founder of Coach Baseball Right, has used these drills as a successful high school baseball coach and to run his youth summer camps for almost 40 years! He has developed a system of teaching baseball which emphasizes fundamentals and positive development, both athletically and personally. Often a simple practice is a catching warm up, a few infield drills, and then hitting. In reality, A great practice is structured, organized and utilizes specific drills to improve plays and skills for every position. A well run practice utilizing position-specific drills can help prepare your kids for in-game situations, from infielders fielding poor throws from other players, dealing with the in-between hop, outfielders finding spots to make catches, catchers improving agility and more. Choose your Free Baseball Drills by Position! Transform your ability to develop and engage your players with the following Video Drills. Get some of our Catcher Video Drills to help you know what and how to teach catching! 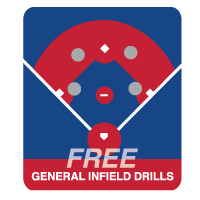 Get some of our General Infield Video Drills to help you know what and how to teach general infield drills. 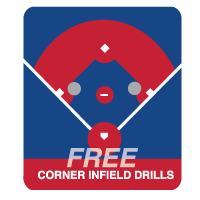 Get some of our Corner Infield Video Drills to help you know what and how to teach first and third base infield positions. 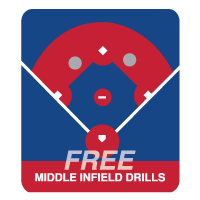 Get some of our Middle Infield Video Drills to help you know what and how to teach shortstop and second base infield positions! 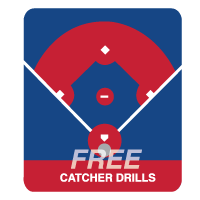 Get some of our Outfield Baseball Drills to help you know what and how to teach the fundamentals of outfield! 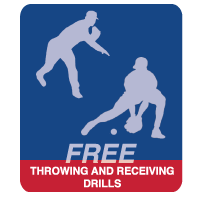 Get some of our Throwing and Receiving Baseball Drills to help your young players the best way to throw and catch the baseball! Get some of our Hitting Drills to help your young players learn the best way to hit the baseball! 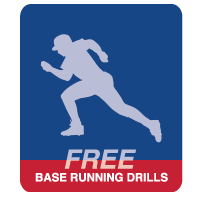 Get some of our Base Running Drills to help you know what and how to teach the fundamentals of base running! 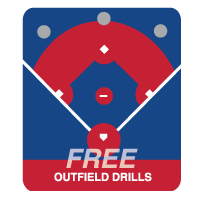 Share these Free Baseball Drills with your Community!